As much as Krakow gets the bulk of the attention among travellers, the true heart of modern Poland beats in the always rockin’ capital of Warsaw. Whether you’ve carved out 10 days in Poland or are tackling the country at a more leisurely pace, there’s perhaps no city that’ll surprise more than this buzzing modern European capital. I have to admit that when I visited Warsaw, it wasn’t love at first sight thanks to a less-than-friendly encounter within minutes of setting foot beyond the train station. Determined to prove all of Warsaw’s detractors wrong though, I trudged on and quickly found myself enjoying the city much as I originally hoped to. The explanation is simple. World War II was not kind to Warsaw, leaving almost 90% of the city in ruins. Much of central Warsaw hails from postwar period, mostly reflecting modern architecture styles—some quite forgettable & regrettable. Fortunately, it doesn’t end there. Sprinkled throughout Warsaw are eye-catching buildings reconstructed from their original Gothic, Renaissance, Baroque and Neoclassical forms to create an architectural palette that’s unlike any other city in Europe. And while that’s probably reason even enough to carve out at least 24 hours in Warsaw, the Polish capital intrigues as one of Europe’s most underrated cultural destinations. The food & drink scene here is pumpin’ and among the best in Central Europe, standing up alongside regional heavyweights like Budapest, Prague, and Berlin while managing to keep a low-profile among the tourist hordes. 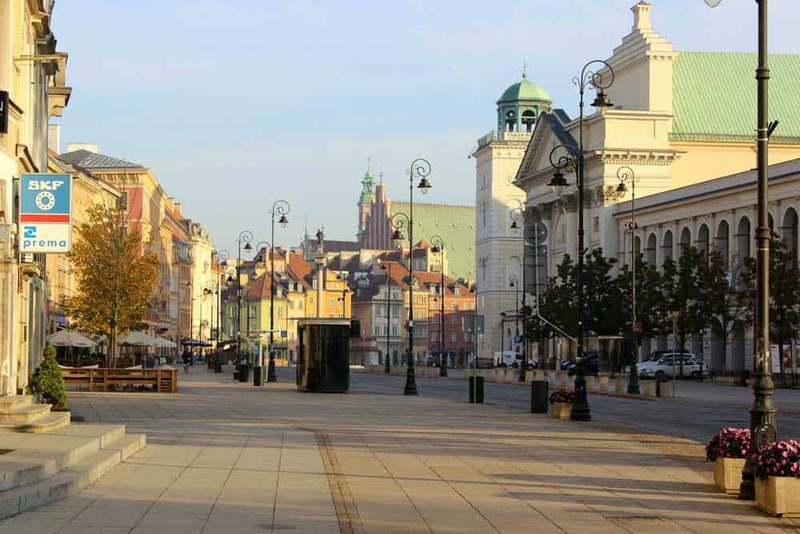 Preparing for your Warsaw itinerary? Don’t forget to protect yourself with travel insurance! For anyone who’s been convinced that Warsaw lacks charm, put the idea to rest by beginning your day with a walk through Old Town Warsaw. Sure, Warsaw’s Old Town won’t strike a chord as forcefully as its equivalent in far-more-popular Krakow or Prague, but discovering its rich tapestry of (reconstructed) medieval, Gothic, Renaissance architecture is absolutely one of best things to do in Warsaw. 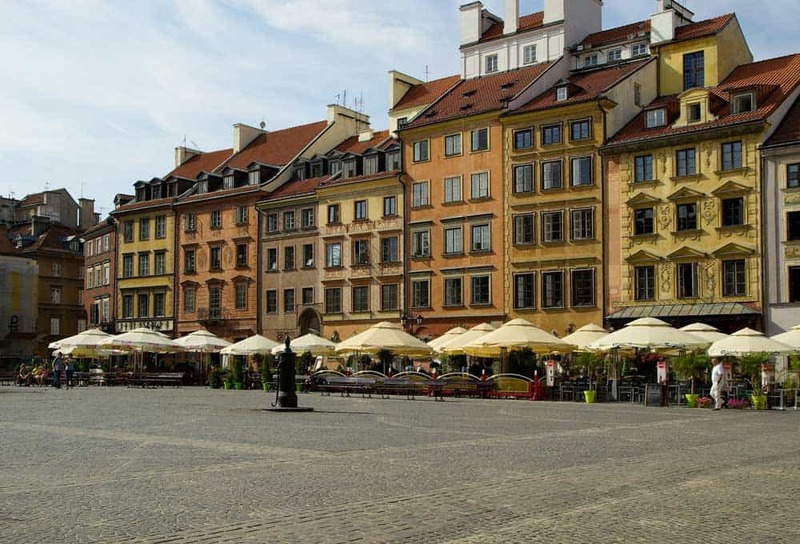 Start exploring Old Town Warsaw at Rynek Starego Miasta (Old Town Market Place), the heart of the historical district. This beautiful square, lined with reconstructed 17th-century merchant houses, is the perfect place to slow down before kicking your Warsaw itinerary into gear. Grab a cup of coffee and a snack at one of the cafés along here to soak in the sights & sounds of Old Town Warsaw before continuing on. Barbican: Warsaw’s distinctive fairytale medieval gate that was once one of the most important military fortifications along its city walls. Set to the backdrop of Warsaw’s modern New Town, the Barbican offers an interesting look at the city’s bi-polar architectural palette. St. John’s Archcathedral: Originally built in Masovian Gothic style in the 14th-century, this beautiful Roman Catholic cathedral is one of Old Town’s most distinctive buildings. Despite the church’s almost complete destruction in WWII, several important religious paintings survived. The crypts, housing some of the most important figures in Polish history, also make for an interesting visit. The Royal Castle: A centuries-old royal palace residence that now houses one of the best museums in Warsaw. Exhibits include a collection of original period furniture and important works of Polish art from the 18th century. Once you’ve got your fill of Old Town Warsaw, head towards central Warsaw via Krakowskie Przedmieście, also known as The Royal Way. Along this famous avenue lies half a dozen beautiful palaces (including Tyszkiewicz Palace, the Presidential Palace, and Potocki Palace) and a handful of impressive churches (St. Anne’s Church, Carmelite Church, Church of St. Joseph of the Visitationists). Pass by Kopernika Square, home of a popular statue dedicated to Polish astronomer Nicolaus Copernicus who set forth the theory that the earth rotated around the sun, before swinging right on Świȩtokrzyska to continue into the heart of Warsaw. Dubbed “Stalin’s Last Erection,” this monolithic skyscraper came as a “gift” from the Soviet leader in Poland’s communist postwar era. Kinda explains why it isn’t exactly celebrated, eh? Nonetheless, I’m willing to bet that most travellers, detaching themselves from the building’s former political connotations, will be fascinated by it. The main reason to visit the Palace of Culture & Science is for the views. Hop into the high-speed elevator (20zł for adults / 15zł for children) to blast up to its 30th-floor observation deck for sweeping vistas over Warsaw’s vast skyline. Once you’ve dabbled into Warsaw from above, depositing yourself in front of the Palace of Culture & Science onto Marszałkowska, one of the main drags in central Warsaw. With some spare energy, walk two kilometres south (or take a tram) to build up an appetite for your next stop: Bar Prasowy. More than a handful of remnants from the communist era linger around Warsaw, but perhaps none are as compelling as milk bars. Taking its name from the cheap & hearty dairy-based foods on their menu, milk bars (bar mleczny) are among the best places in Warsaw to eat, and an absolute must-visit—even if you only have one day in Warsaw! 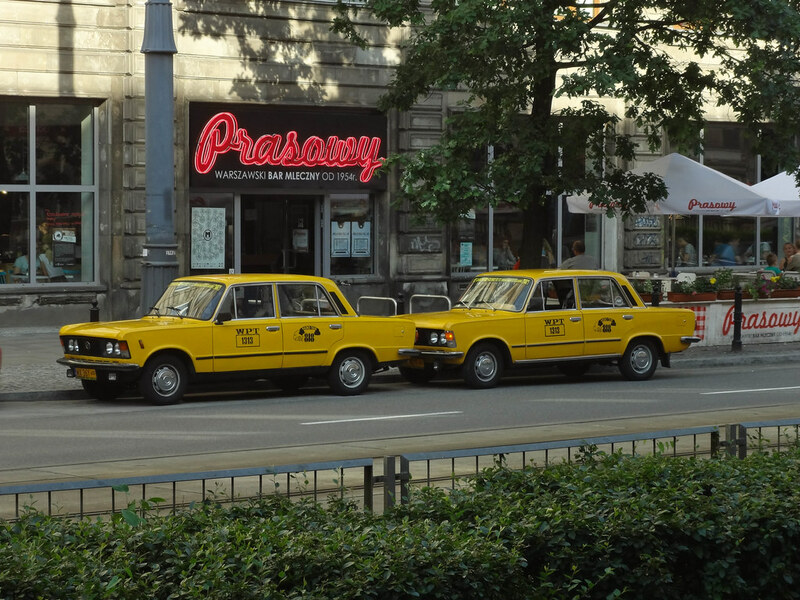 Among the best milk bars in Warsaw is Bar Prasowy (Marszałkowska 10/16), a restaurant with a history dating back over 60 years. Their most famous offering is their pierogi, chewy Polish dumplings filled with a variety of ingredients from savoury meats to fruits. 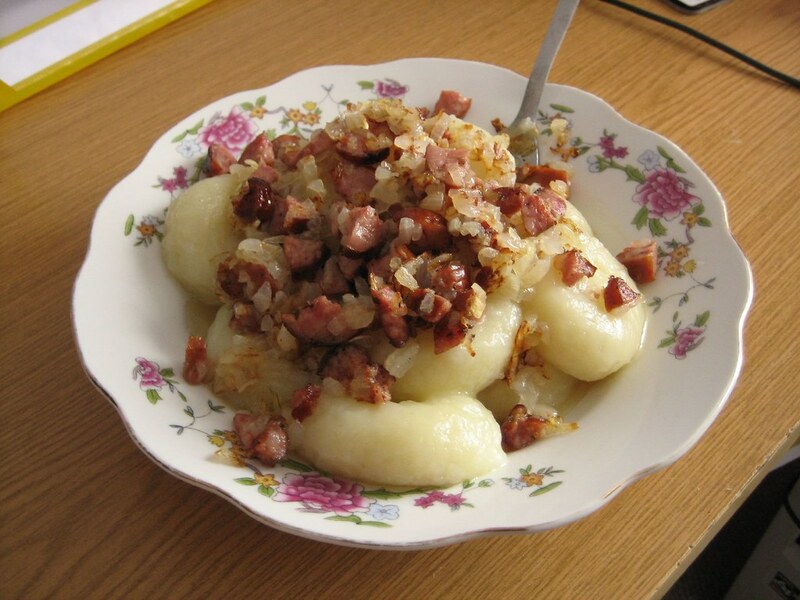 A few of the most popular varieties at Bar Prasowy include pierogi z mięsem (meat), pierogi z kapustą (sauerkraut and mushrooms), pierogi ruskie (potato and cheese), pierogi z jagodami (blueberries), and pierogi z truskawkami (strawberries). Now that you’ve stuffed & fuelled yourself for the journey ahead, continue south along Marszałkowska to the traffic circle and swing left towards Warsaw’s crowning greenspace, Łazienki Park. Stretching out over 180 acres in the centre of Warsaw, there’s plenty of room to relax in Łazienki Park after a half day of sightseeing. But I didn’t take you all the way down here to chill in any ordinary city park. 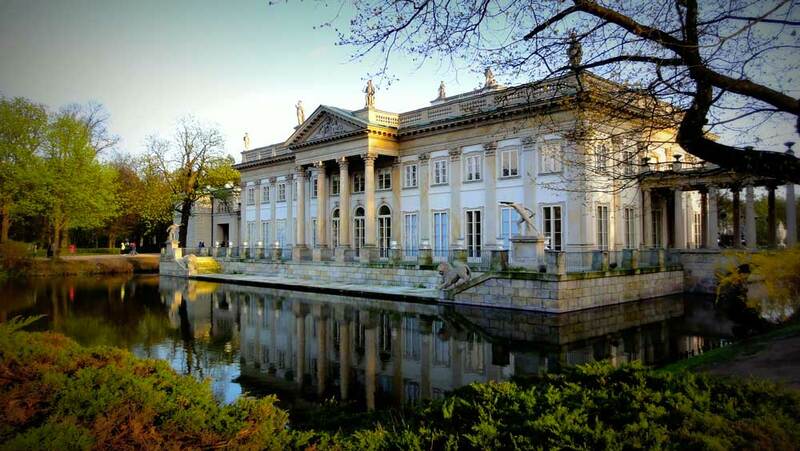 Łazienki Park is home to a number of palaces, museums, monuments, and orangeries that beg for discovery. The park’s most famous site is undoubtedly the Palace on the Isle, a Neoclassical palace perched upon Stawy Łazienkowskie. The stunning interplay of the palace’s reflection in the waters with the surrounding greenery forms one of Warsaw’s most beautiful scenes. Other than the Palace on the Isle, wander around Łazienki Park to check out Ujazdowski Castle (now housing the Modern Museum of Art), the New & Old Orangeries, and Belvedere Palace. After lounging around and absorbing the sights of Łazienki Park, beeline back to the centre of Warsaw (Śródmieście), either by foot or tram, to continue your journey. Czerwony Wieprz (Żelazna 68): A local favourite serving up Eastern European fare with a dash of old Soviet flair. Their menu, like many in Poland, is meat-heavy with pork sitting in as their specialty. Folk Gospoda (Waliców 13): A popular local restaurant serving up traditional Polish cuisine in hefty portions. Mokotowska 69 (Mokotowska 69): A classy wine bar & restaurant specializing in seafood & steak with a modern international twist. Polska Różana (Chocimska 7): An elegant restaurant that’s one of the best for fine Polish dining in Warsaw. Soul Kitchen (Nowogrodzka 18A): A Warsaw favourite on a mission to serve up the city’s best simple Polish soul food. Once you’ve managed to fill your belly with some delicious Polish food, hop on your feet to try out Poland’s other popular consumable: beer. There’s a long history of brewing tradition in Poland, and judging by the explosion of craft beers in Warsaw, it’s only gaining momentum. Gorączka Złota (Wilcza 29): A popular local pub that’s high on beer selection and reasonably priced if a little short on style. Jabeerwocky (Nowogrodzka 12): A chilled-out pub with salty urban decor and a tremendous selection of 16 Polish and European craft beers on tap. Artezan (Stanisława Moniuszki 1A): A stylish brew pub delivering their own unique indie craft beers including IPAs, dark ales, and porters. If sipping on beers in a quiet pub sounds a little too tame for your tastes, head across the Vistula River from Old Town for a night in Praga. This once dilapidated and somewhat seedy neighbourhood is quickly becoming one of the hippest places in Warsaw and is home to some of the city’s wildest bars & clubs. 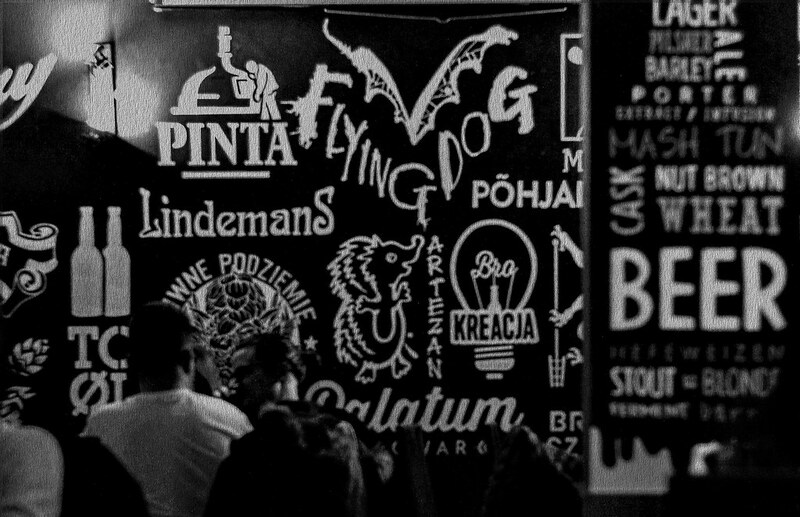 Want to learn more about the craft beer scene in Warsaw? Hop onto a Warsaw Craft Beer Tour with a fun-loving beer-swillin’ guide who’ll take you to the city’s hottest brewpubs to sample Warsaw’s finest ales, IPAs, lagers & stouts! Hampton By Hilton Warsaw City Centre: A superb city centre hotel that’s within steps of Warszawa Centralna and the Palace of Culture & Science. The spacious and colourful rooms feature excellent views of the city. Collect Hilton Honors Points on your stay and get the best rate guaranteed by booking on Hilton.com. Mercure Warszawa Centrum: An elegant modern hotel perfectly located in the heart of Śródmieście near the central train station. Extras like a fitness centre, hot tub, and sauna add to the value. Hotel Indigo Warsaw Nowy Świat: A sleek 4-star boutique hotel occupying a lovely 19th-century building. Rooms sparkle with royal blue accents and spectacular city views while the on-site restaurant, Florentin, delivers a rare taste of the Middle East in Poland. Collect IHG Rewards on your stay and get the best price guaranteed by booking directly on IHG.com. InterContinental Warszawa: Undoubtedly the best luxury hotel in Warsaw, this ultra-stylish 5-star dazzles with well-adorned rooms & a whole host of world-class amenities. Don’t leave without soaking up the sensational views from the 43rd-floor swimming pool. Get the best price and collect IHG Rewards on your stay by booking on IHG.com. 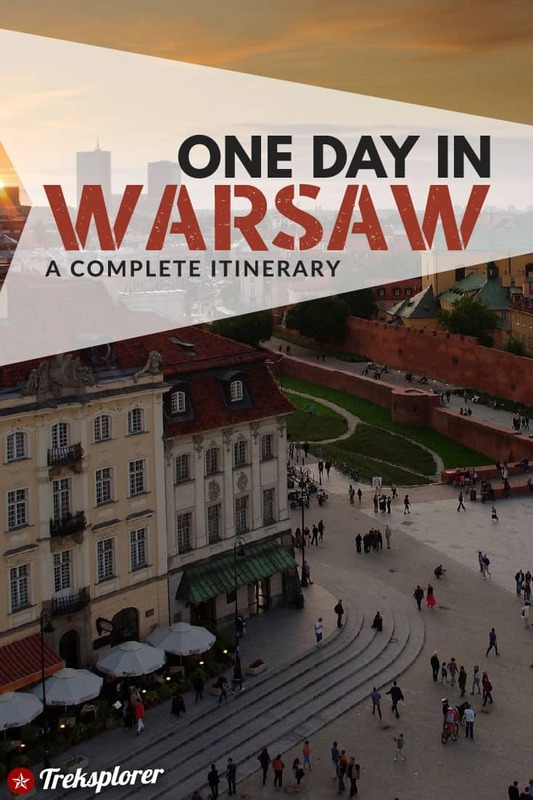 Warsaw Sightseeing Tour: A complete 3-hour tour with an English-speaking guide that takes in the main tourist sites of Warsaw including Old Town, St. John’s Cathedral, the Royal Way, the former Jewish Ghetto, and Łazienki Park. 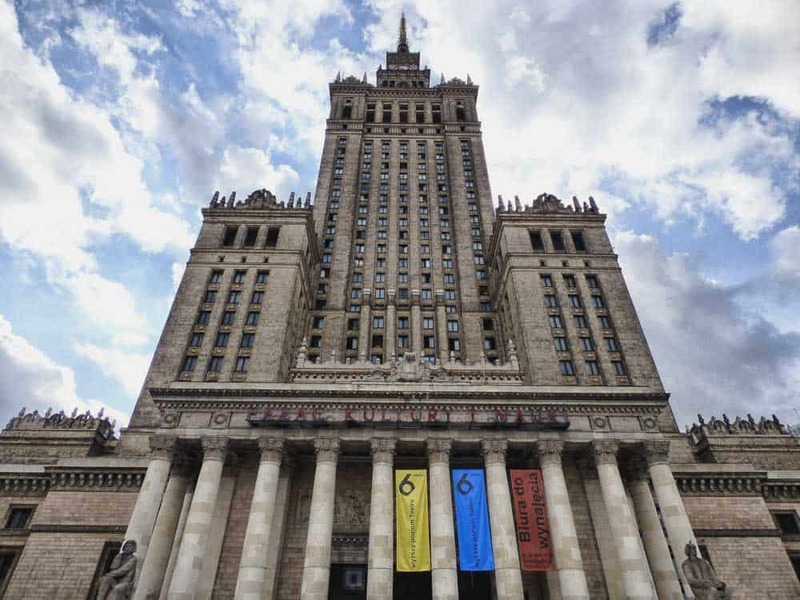 Warsaw Jewish Heritage Tour: Hop into a retro Fiat 125p for a private 4-hour tour of Warsaw’s most important Jewish sites including the former Jewish Ghetto, Ghetto Wall, Nożyk Synagogue and Jewish Cemetery. There’s an option to extend the tour with a visit to Museum of the History of Polish Jews. Half-Day City Sightseeing Tour of Warsaw: A 4-hour bus and walking tour venturing to all the best Warsaw attractions including the major sites of Old Town Warsaw, the Ghetto Memorial, Tomb of the Unknown Solider, and Belvedere Palace in Lazienki Park. By air: Poland’s capital is served by Warsaw Frederic Chopin Airport (WAW), the country’s busiest airport. Several major airlines fly into WAW from international destinations including LOT Polish Airlines, Wizz Air, Lufthansa, and Air Canada. Looking for cheap flights to Warsaw? I’d recommend searching for airfare deals on CheapOair! For my last several bookings, I’ve consistently been able to find cheaper fares here than other more well-known flight search engines like Skyscanner or Kayak. By train: Warsaw is well-connected to the rest of Poland and other European destinations by train. Popular journeys include Krakow (2h18m), Gdansk (2h40m), and Berlin (6h23m). Interested in WWII history? Don’t miss out on the Warsaw Uprising Museum featuring a number of fascinating exhibits that detail the heroic, but ultimately unsuccessful, Polish resistance movement against Nazi occupation. Feeling a little regal? Try to squeeze in a visit to the stunning Wilanów Palace, a 17th-century Baroque royal residence 30 minutes southeast of the city centre by bus. Got Cold War nostalgia? Pop in for a quick evening visit to the Neon Museum in Praga, displaying some of the cool neon signs that lit up the streets of Warsaw during the postwar communist era.